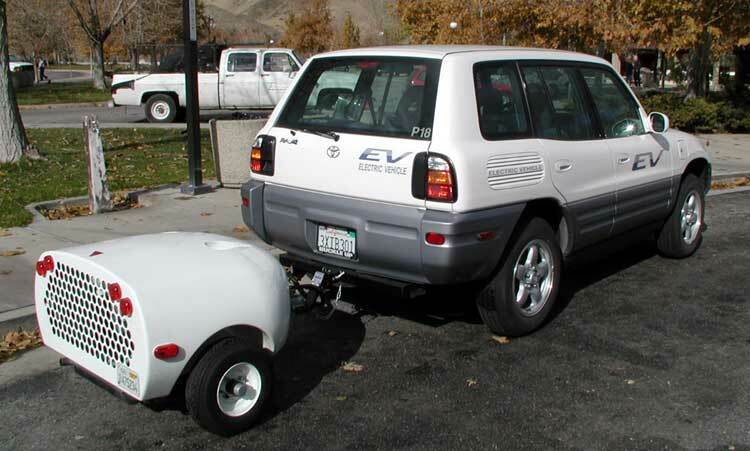 The Long Ranger was an AC Propulsion project (commissioned by Toyota) to build a generator trailer that would allow liquid-fueled high-speed travel in the Rav4EV. There were many obstacles to this project seeing the light of day - most of them bureaucratic. 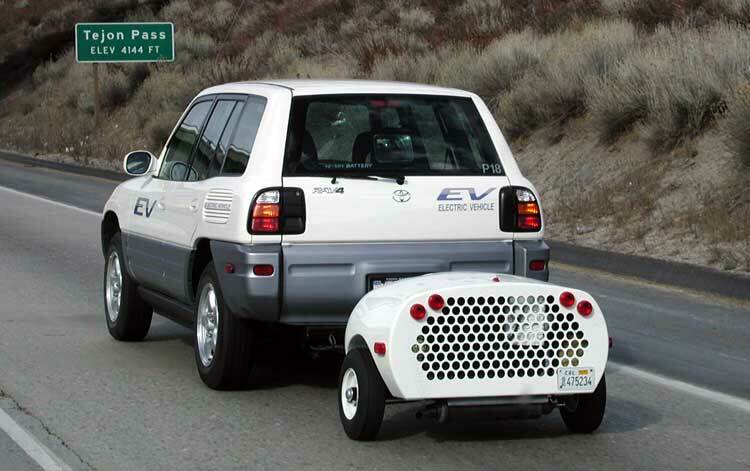 For most practical purposes, the project was a great success that never really saw the light of day before the Rav4EV program was terminated. 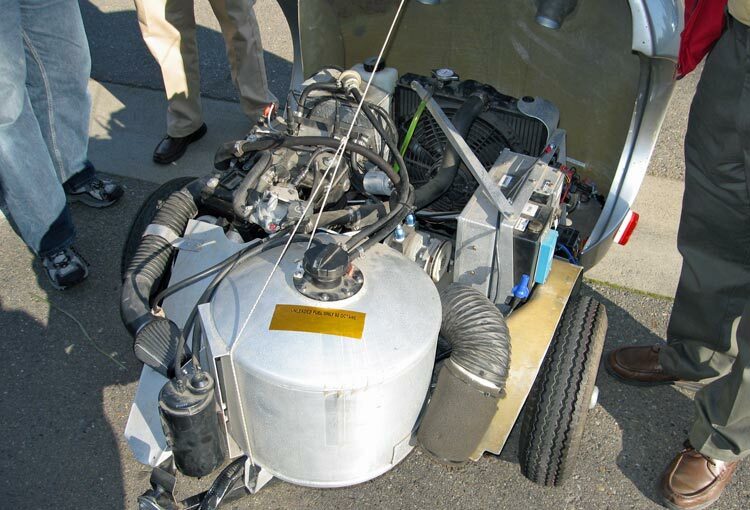 A 500cc motorcycle engine is used, housed in a small, aerodynamic package. 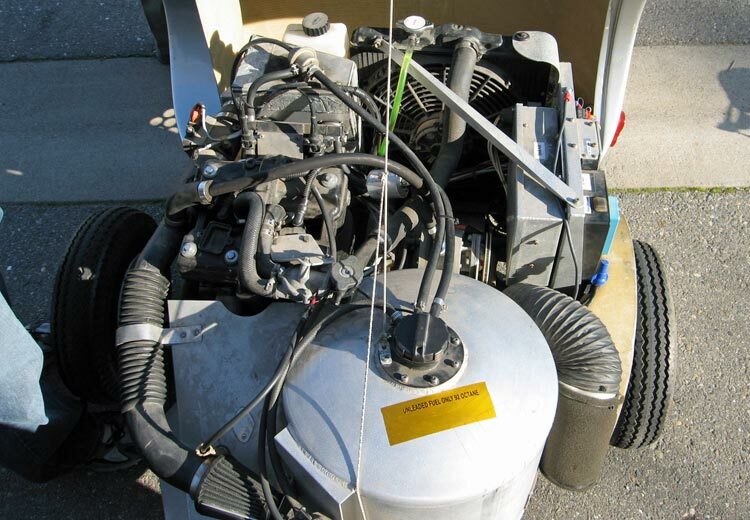 ~20kW DC output is sufficient for extended high-speed travel. 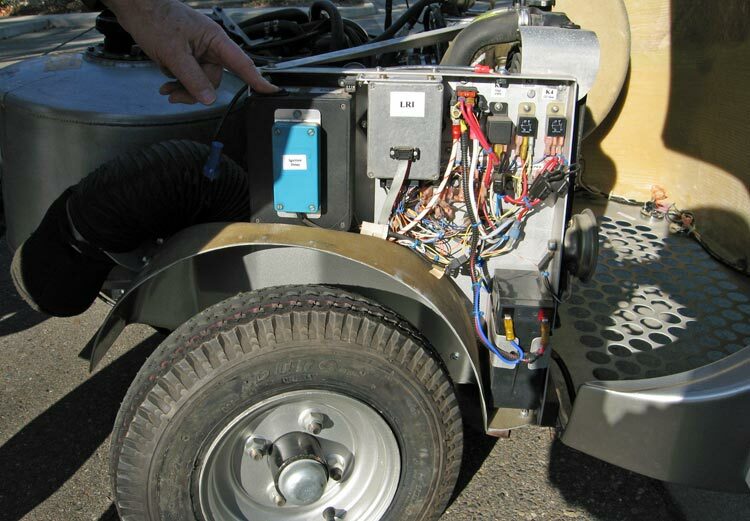 The micro trailer incorporates intelligent "BackTracker" steering which automatically maintains trailer-to-vehicle alignment during backing to avoid jack-knifing. 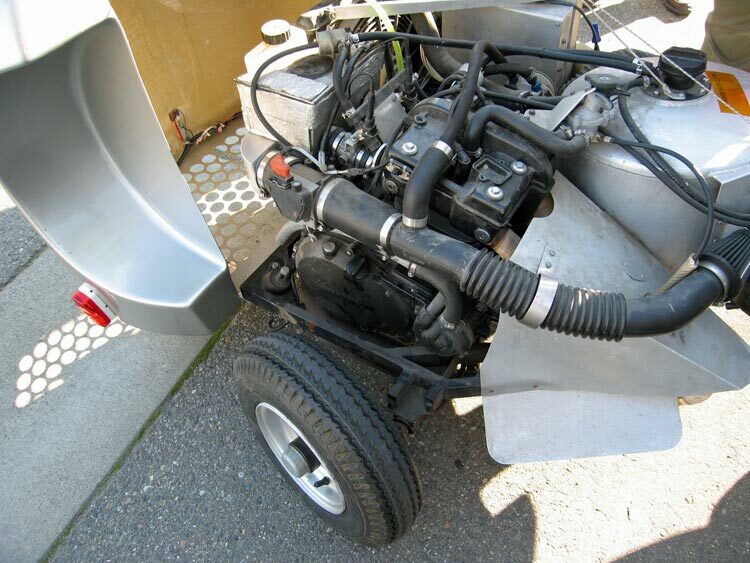 There is little question that this 350 pound trailer functioned as planned - sustaining freeways speeds for as long as the 9.5 gallon tank had gasoline. Amazingly, even with all the conversion losses added up, the gas mileage of this combo is comparable or BETTER than the pure gasoline version of the same vehicle. 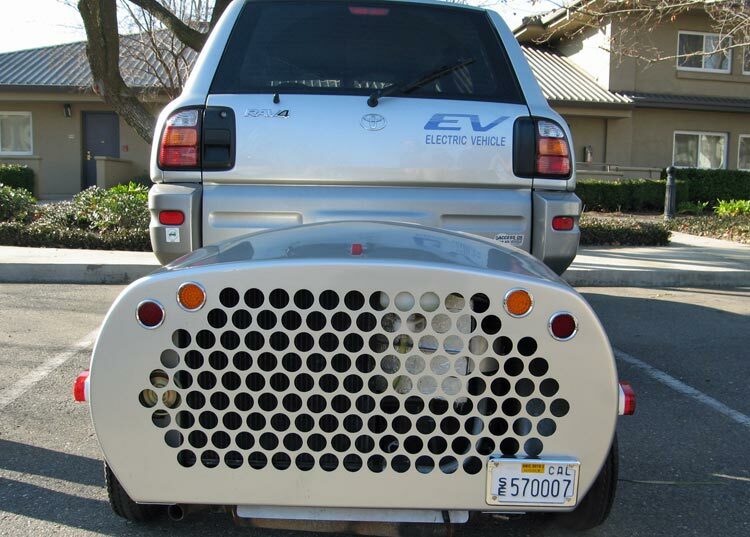 Good friend and fellow EV'er Tom Dowling managed to purchase one of the Longer Ranger trailers recently. 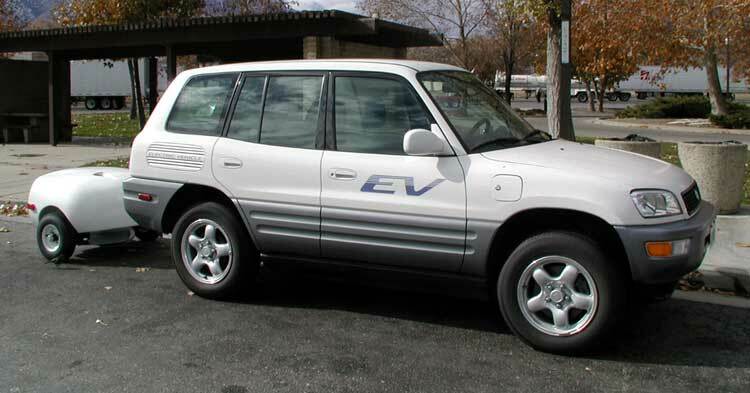 Through great personal expense and effort, Tom is very close to realizing his dream of owning a limitless range serial hybridized Rav4EV. Pictures taken Jan07 during our first, totally unofficial meeting of the "Greater Sacramento Area" chapter of the EAA that as of yet does not exist. Almost all the lighting has been converted to LED now (where did Tom get THAT influence?) We just need to update the little red fin on the top there. It is about the cutest little thing you've ever seen. Invisible from the driver's seat. Tom has mounted an after-market rear-view camera just to keep an eye on it. Tom's famous red EV1 jacket. 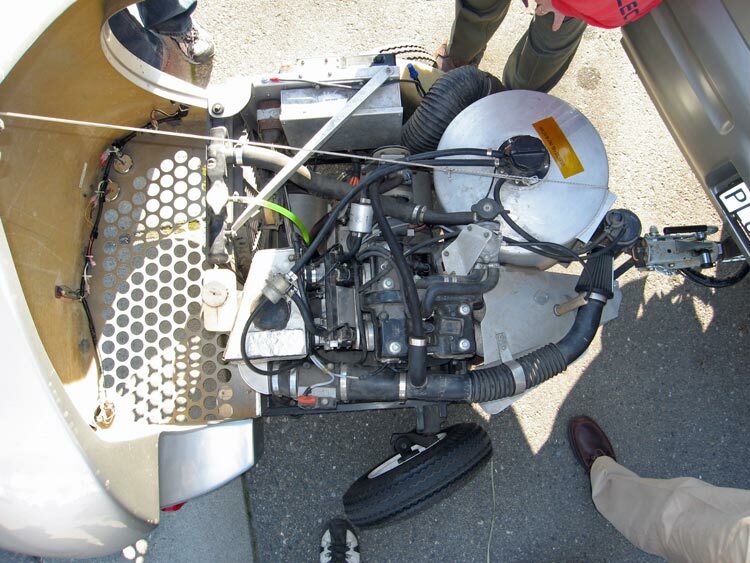 Big barrel in the front is the icky gasoline tank. 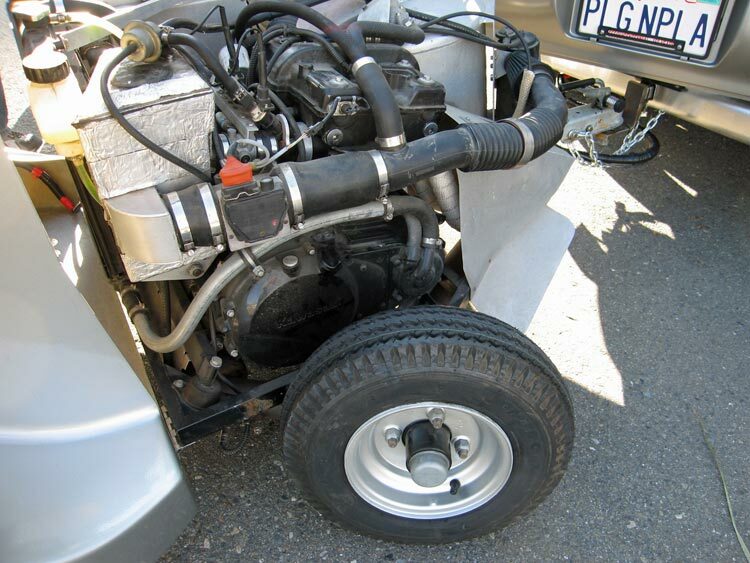 Sheet metal flange/scoop shown on the right of this photo is to shovel air under the trailer's cover. 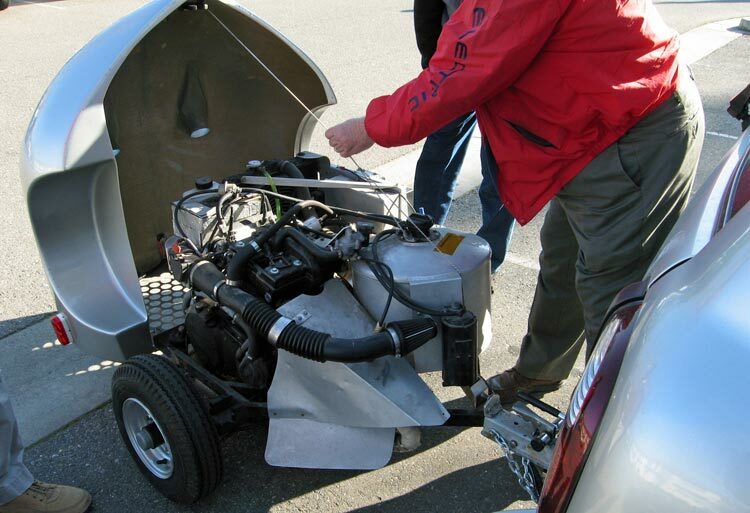 The steering mechanism was being demonstrated.